Nunnah, Nunnah, Nunnah, Nunnah Ant-Man! Back in the early 1990’s, Charlie Sheen had become a hot commodity in Hollywood. He really hit it big with “Hot Shots!” in 1991, which was a parody of the movie “Top Gun” and held much of the zaniness of “Airplane!” and “The Naked Gun” due to the director & one of the writers being a part of ZAZ (Zucker, Abrahams, Zucker – the kings of 1980’s slapstick comedy). He had also earned cred from “The Rookie” with Clint Eastwood and “Navy Seals” with Michael Biehn. The summer of 1994 could have been called “the summer of Charlie” with 3 different movies released with him as the star (the other two being “The Three Musketeers” and “Hot Shots!, Part Deux”). Jack Hammond was sentenced to life in prison, but he had a different idea. Breaking free, he ends up taking a rich “daddy’s girl” hostage and takes a road trip in her BMW to the Mexico border. All the while being chased by inept cops, rednecks, & news vans out to get the story. Look for a star-studded cast including Henry Rollins, Josh Mostel, and 2 members of The Red Hot Chili Peppers! Someone wanted to give this movie some love, so they posted it on YouTube for all to see! Stephen Colbert is waiting to go on the air this fall, so in the meantime he is traveling the public access circuit. Here he is in good old Monroe, Michigan on “Only in Monroe“. The interview with Eminem (Marshall Mathers) is hilarious! Schools around the world are having to “lawyer up” these days because of upset parents and students not getting the grades they feel they deserve, not making valedictorian, and now for not being picked for roles in school plays! What is this world coming to? How do you feel now, internet? Cake which was supposed to look like Elsa from “Frozen” that was mocked by many on the internet turned out to be a 2hr rush job by a volunteer for a critically-ill child. Back in the 1980’s when television shows needed some “freshness” injected into them, some were treated with “made for television” movies to help boost ratings. “The Facts of Life” was one such show. Having the backdrop of an all-girls school really puts a damper on what writers could do within such a setting. Today’s “Sunday Cinema” selection allowed them the opportunity to break free of the school and allow the characters to experience life in another country! The basic premise is this – several of the girls from Eastland Academy were chosen to spend the summer at a sister school located in Paris, France. Mrs. Garrett was also invited to Paris to attend a prestigious cooking academy at the same time. The movie follows each of the characters (Jo wanting to go to the Lemans car race, Blair looking for a French boyfriend, Natalie & Tootie helping an author get over writer’s block, & Mrs. Garrett impressing the cooking academy’s head chef) and all the zany adventures they get into while in Paris. 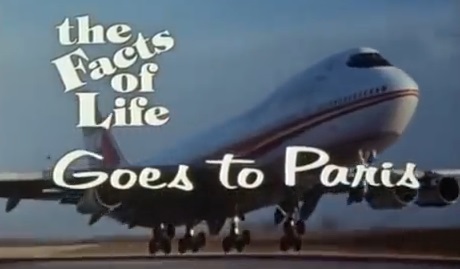 Some kind soul posted not only this movie, but also “The Facts of Life Down Under“, where the gang heads to Australia. Click on our Audible referral link and sign up for a free trial! 30 days + 1 free book download! Help out your favorite pod! This week the gang met up at a local gaming store and played the infamous game, “Cards Against Humanity“. Much like the tamer card game, “Apples to Apples”, the whole premise of the game is to offer up the card with the funniest answer. Totally NSFW & NSFA, the answer cards run the gamut from being politically & socially incorrect to downright sacrilegious. A drinking game for sure, as mentioned during the pod. Someone was kind enough to post this movie for all to enjoy! Soon to be a hotel, the TWA Terminal at New York’s JFK Airport is a time capsule for air travel in 1962. A time when the average American couldn’t afford to fly, when it was exciting to board an airliner. The Bureau of Land Management now has a “rider” for the organizers of the Burning Man Festival. 24 hour access to ice cream? Really? Oregon is celebrating the legalization of recreational-use marijuana by giving away seeds to grow your own. One of the stipulations is that a individual can grow up to 4 plants in private. First there was “Spamalot”, then there was “The Producers”. Now there is “Clueless“? Back in the 1990’s, some sports stars tried to take their careers to the next level and jump into movies. Many of them realized that their sports careers weren’t going to last forever and that they needed some sort of end game when the end did come. Brian Bosworth was one such star. He was a linebacker for 3 seasons with the Seattle Seahawks, had an attitude and a mullet to match. His first foray into the movies was today’s selection. Joe Huff is a cop that doesn’t like to play by the rules and that gets him suspended. An opportunity arises for him to get reinstated, thanks to the good ol’ FBI. See, the FBI wants Joe to go undercover and infiltrate a biker gang, one that has been terrorizing citizens and doing senseless killings. “The Boz” used his own personal motorcycle in the movie because he felt most comfortable with it. The real stars of the show are “Chains” (as played by the one and only Lance Henrieksen) and “Ice” (as played by William Forsythe). 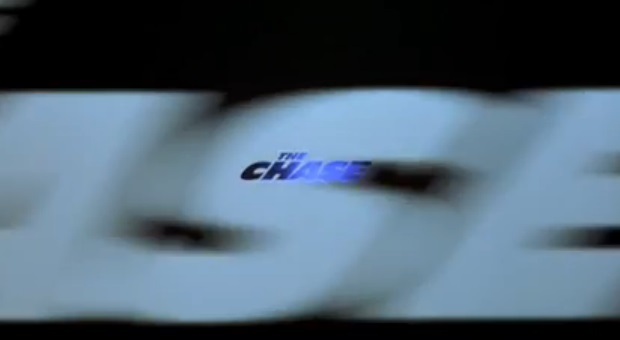 There are some plot holes, some cheesy chase scenes, but overall a good representation of an action movie from the 1990’s.